Nearly 98 per cent of Somerset children were offered a primary school place at one of their top three choices, the County Council’s latest school admission figures show. Overall 97.7 per cent of the 5,664 applicants were offered a place at one of their top three primary school choices, and 92.17 per cent received their first choice. Anyone who applied for places online will receive the outcome by email today (16 April) – it could take until lunchtime for emails to arrive, so parents and guardians are asked to be patient. Those who applied using paper forms will receive notification by post in the coming days. Last year 98.4 per cent of applicants received one of their top three preferences and 93.8 per cent received their first primary school preference. 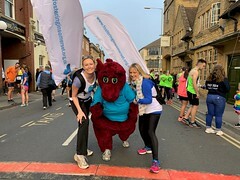 A spokesperson for Somerset County Council said: “This is always a really busy time of year for the team and an important one for families across the county.